Re-structure your marital relationship in a constructive, compassionate, child-centered way: collaboratively. Offering Collaborative Divorce and Mediation Services Throughout Hawaii to Re-structure Families more Peacefully and Pono. In an ideal world here in Hawaii, marital relationships could remain healthily intact throughout the lifetime of one of the spouses, but unfortunately and realistically in today’s stressful and ever-changing world, that phenomenon is not very common. When spouses’ expectations remain unmet and attempts to reconcile are unsuccessful, too often couples perceive that they are trapped, and are left with having to choose the lesser of two bad options: (1) either remain in an unhappy marital relationship, either for the sake of the children, or to avoid having to address challenging marital financial issues; or (2) facing fear, hurt, and anger, many often feel a need to “get as much as they can” in a divorce. Some examples of this in a traditional court-centered litigation paradigm are that adversarial-minded family law attorneys go to court with zero-sum objectives such as the following: (1) to obtain “more” of the marital property (which too often fails to address the needs of both spouses in a fair manner); or (2) to be awarded more “rights” with respect to parenting the children, in effect, to try to “punish” the other parent. Proceeding in any of these ways (even the party who “wins” in court) will leave every individual involved in this marital and family system feeling miserable, and relationships permanently destroyed, when circumstances should not and need not result in such damaging outcomes. My name is Lisa Jacobs. I am a Collaborative Divorce Attorney & Mediator, and am here to help. If marriages cannot be fixed so both spouses remain happy together, my mission is to contribute my efforts to make every Divorce Pono (or `oki male pono in Hawaiian). I am also a trained, experienced, and award-winning Divorce Mediator. Mediation is a dispute resolution where a mediator, or neutral third party, facilitates communication between two parties, in order for the parties to reach their own agreement. While mediation for some divorce cases may be relatively brief, in more complex cases, it makes sense to have a team work with you and your spouse to help arrive at creative, deep, and lasting solutions. Some have coined this team-based method of dispute resolution “Collaborative Divorce Mediation,” and in select cases, I offer my services as a collaborative mediator (instead of a collaborative attorney) who works closely with a divorce coach and a financial expert neutral when collaborative mediation seems to be the more appropriate option for the couple. Huge advantages of both collaborative divorce and collaborative mediation are that they are both non-public and confidential ways to resolve your issues. In addition, the reality is is that Family Court judges have so many cases before them that they simply cannot devote the amount of attention on your case as I can, either as your Collaborative Attorney or Collaborative Mediator. I am recognized within communities throughout the Hawaiian Islands and on the U.S. mainland as a leader in peacemaking processes such as Mediation and Collaborative Divorce Practice. In the area of Mediation, I have a 10 out of 10 rating on Avvo for Mediation and am also recognized as one of the Best Mediators in the Honolulu area by Expertise website. In December 2016, The Mediation Center of the Pacific presented me with the “Domestic Mediator of the Year” Award. I was selected as the awardee amongst 200 of my esteemed Mediator colleagues. I am pioneering Collaborative Divorce practice here in Hawaii. For Collaborative Divorce, I am the Hawaii “go-to” member of the International Academy of Collaborative Professionals (IACP), which is the international organization whose mission is to train attorneys, mental health professionals, and financial professionals who work in high-conflict situations such as divorce to constructively problem-solve with parties, and support the parties and each other as team members rather than adversaries. My involvement with the Collaborative Divorce movement was featured in the Honolulu Star Advertiser newspaper on August 13, 2013, with the headline, “State law offers more collaborative divorce process.” Click here to read full newspaper article. Click on this link for an article published by the Hawaii Paralegals Association, highlighting Lisa’s and Collaborative Practice Team members Dr. Greg Yuen and Monica Jennings’s presentation on Collaborative Divorce Practice at their monthly brown bag meeting in June 2014. Also, below, along with a 20-minute video produced by the International Academy of Collaborative Professionals (IACP), I am featured in eight interviews about Collaborative Divorce (six videos and two podcasts produced from March 2013 – February 2017). I invite you to continue checking out my website. Encourage your spouse to view it as well to become educated on Collaborative Divorce and Collaborative Mediation. I hope that the information provided on my website answers your questions and alleviates many of the concerns and fears that you may have in moving forward. Call me today at (808) 263-6299, or email me at Lisa@PonoDivorce.com, to schedule a consultation meeting, so we can discuss your unique situation. 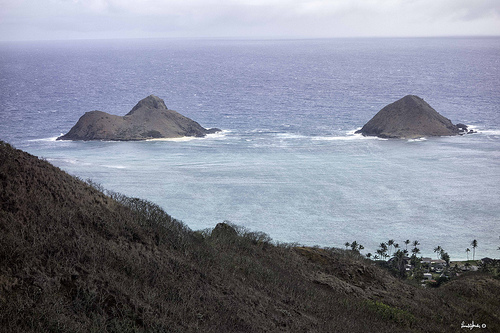 I am based on the Windward Side of Oahu, and I serve clients on all of the Hawaiian Islands using Skype technology and can even help parties resolve disputes using their mobile phones. It will be a true pleasure for me to serve your needs and also those of your entire family. The first video, directly below, is an informative 20-minute video called “Collaborative Divorce: A Safe Place,” which was produced by the International Academy of Collaborative Professionals for which I am a member, and shows the real-life journey of a couple who engaged in a Collaborative Divorce process. The second video, directly below, was live footage from the Think Tech Hawaii program “Community Matters” February 2017. ThinkTech Hawaii’s Founder and President, Jay Fidell, interviewed Collaborative Attorney Tom DiGrazia and me on the topic of Collaborative Divorce (the show’s producers coined the process as Deliberative Divorce). The third video, directly below, was produced in September 2014 for the “Legal Advice in Paradise” show, which was founded and is hosted by Justine Gronwald. Joining Justine and me is Dr. Greg Yuen M.D, who is a Collaborative Mental Health Professional. The fourth video, directly below, was produced in the Summer of 2013, with Jay Fidell. It is an extensive interview about Collaborative Divorce. 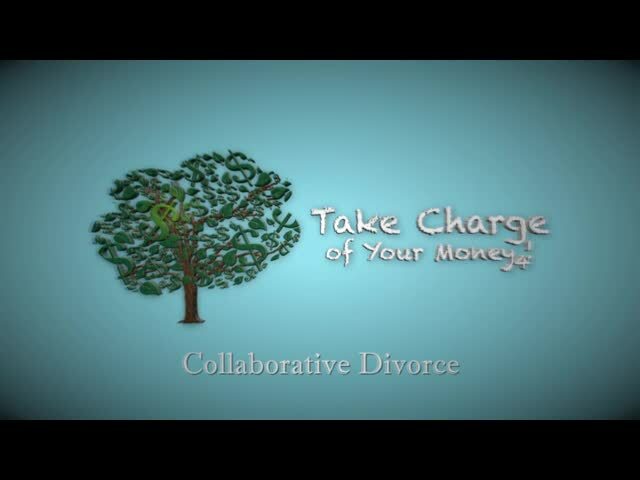 The fifth video, directly below, comes from a segment on Collaborative Divorce from a University of Hawaii educational video series called “Take Charge of Your Money 4,” which was filmed during the Summer of 2015. I am featured along with Monica Jennings, who is a Collaborative Financial Neutral. In the sixth video, directly below, in the Think Tech Hawaii legal series “Life in the Law,” produced in the Fall of 2015, I share center stage with Alternative Dispute Resolution Colleagues Cindy Alm and Gary Grimmer, who with me and Richard Mosher, co-chair the Alternative Dispute Resolution Section of the Hawaii State Bar Association. My discussion of Collaborative Divorce starts at about 2:25. In the seventh video, directly below, I am a guest on the Team Lally Radio Show recorded in February 2014. The interview with me about Collaborative Divorce begins at about 15:25. In the podcast recording immediately below, I was featured as a guest speaker on the topic “Holistic Problem Solving and Nonviolent Communication” on a Leadership Summit podcast in November 2016, hosted by Life Coach Phyliss Francis-Wigfall of Awakening Lives, LLC. Below is a podcast episode of Hawaii Money Resource in November 2013 where I was featured as a guest to discuss my business and provide information on Collaborative Divorce. The specific discussion on Collaborative Divorce starts at about 14:35.